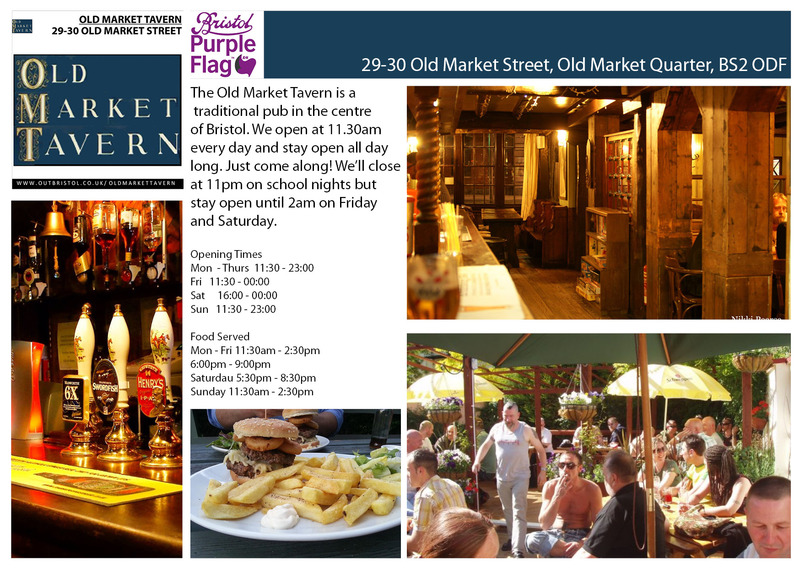 The Old Market Tavern is a traditional pub in the centre of Bristol. We open at 11.30am every day and stay open all day long. Just come along! We’ll close at 11pm on school nights but stay open until 2am on Friday and Saturday. 29-30 Old Market Street.